Recent research found that combination of two drugs can destroy the deadliest form of skin cancer, even if it is diagnosed at a late stage. The study was published in the New England Journal of Medicine, a drug combination by Bristol-Myers Squibb was shown to reduce melanoma tumors in 58% of patients by one third over the course of one year. Melanoma is one of the most serious skin cancer. From 2013 more than 14,500 people in the UK developed melanoma and 2100 already died. In Australia, more than 12,000 cases of melanoma were reported in 2012 and the Melanoma Institute of Australia says one person every six hours will die from melanoma. The study was made on 142 patients with advanced melanoma either the drug ipilimumab alone or in combination with a similar treatment called nivolumab. The study was called CheckMate. The conclusion is 69 per cent of patients given the combination were alive two years later, compared to 53 per cent of those given ipilimumab alone. 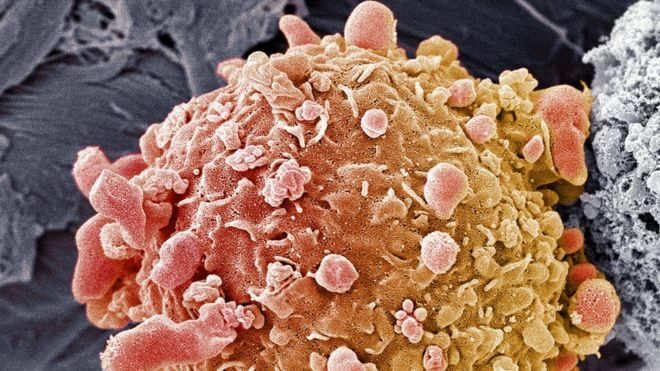 When the two drugs are used together, the tumour was destroyed in 22 per cent of patients. But, none of the patients who were given just ipilimumab had such a remarkable response. British expert Dr James Larkin, consultant medical oncologist at the Royal Marsden Hospital, has treated patients with the drugs as part of another on-going trial. Dr Larkin said: “Both nivolumab and ipilimumab have changed survival expectations in advanced melanoma over the last few years and these latest data show us that combining these two immunotherapies is an effective two-pronged attack against the cancer.